The island’s finest developers will be honoured at the exclusive gala dinner of the PropertyGuru Asia Property Awards (Sri Lanka) to celebrate the best projects, design and innovation within the industry in the past year. 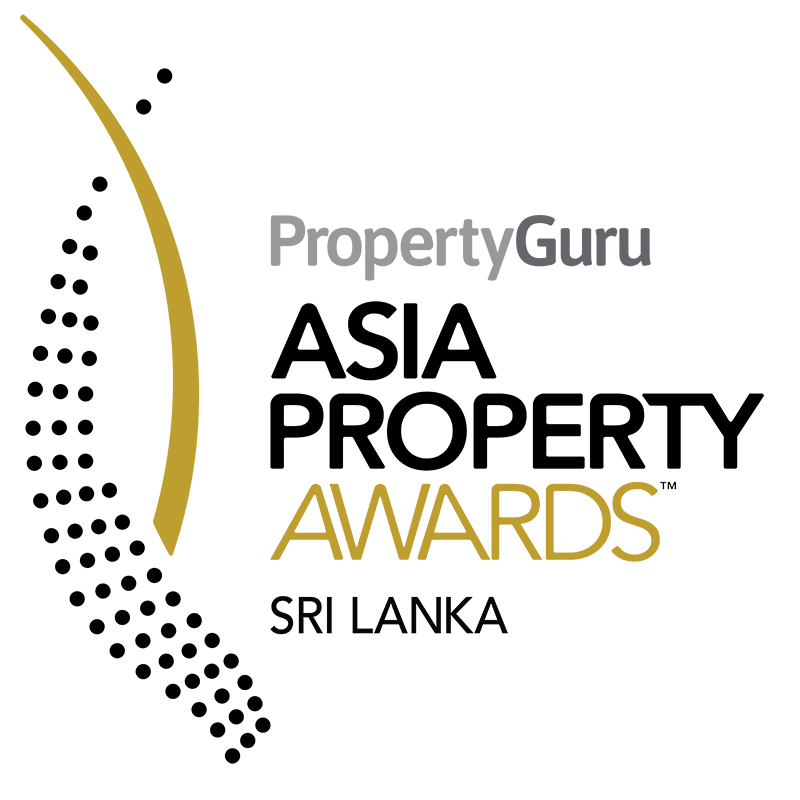 The 3rd Annual PropertyGuru Asia Property Awards (Sri Lanka) are the most respected and most sought-after real estate industry honours. The event is part of the regional PropertyGuru Asia Property Awards programme established in 2005. With a professionally run judging system supervised by BDO, one of the world’s largest auditing and accountancy firms, the Asia Property Awards is the gold standard in real estate. Must have completed at least 2 developments in Sri Lanka since January 2014 till present. Must have completed at least 1 development in Sri Lanka since January 2014 till present. All shortlisted developers will be invited to submit details of their Corporate Social Responsibility initiatives. There is no direct entry for this category. All shortlisted developers will be invited to submit details of their sustainable initiatives. There is no direct entry for this category. All shortlisted developers will be invited to submit details of their Customer Care activities. There is no direct entry for this category. All shortlisted developers will be invited to submit details of their Design and Construction initiatives. There is no direct entry for this category. All shortlisted developers will be invited to submit details of their Building Communities activities. There is no direct entry for this category. Open to condominiums with an average unit price of more than 40,000 LKR per sq. ft. The development must be completed in the period between January 2019 and before December 2023. Percentage of Completed construction must be more than 20%. Must have a show unit. Open to condominiums with an average unit price of 25,000 to 40,000 LKR per sq. ft. The development must be completed in the period between January 2019 and before December 2023. Percentage of Completed construction must be more than 20%. Must have a show unit. Open to condominiums with an average unit price of less than 25,000 LKR per sq. ft. The development must be completed in the period between January 2019 and before December 2023. Percentage of Completed construction must be more than 20%. Must have a show unit. Open to developments with more than 4 units of houses and/or villas. The development must be completed in the period between January 2019 and before December 2023. Percentage of Completed construction must be more than 20%. Must have a show unit. Open to condominiums, houses and villas. The development must be completed in the period between January 2019 and before December 2022. Percentage of Completed construction must be more than 20%. Must have a show unit. Open to condominiums, houses and villas. The development must be completed in the period between January 2019 and before December 2023. Percentage of Completed construction must be more than 20%. Must have a show unit. The development must be completed in the period between January 2018 and before December 2022. Percentage of Completed construction must be more than 20%. Open to hotels with maximum two (2) story’s, less than twenty (20) rooms and no banquet facilities provided. The development must be completed in the period between January 2018 and before December 2022. Percentage of Completed construction must be more than 20%. Open to Residential and Commercial Projects. The development must be completed in the period between January 2018 and before December 2022. Open to developments with internationally recognized green certification (granted or pending). All shortlisted developments are eligible. There is no direct entry for this category. The design of a built environment that can be accessed, understood and used to the greatest extent possible by all people regardless of their age, size, ability or disability. The development must be completed in the period between January 2018 and before December 2022. All shortlisted developments are eligible. There is no direct entry for this category. The development must be completed in the period between January 2018 and before December2023. Percentage of Completed construction must be more than 20%. The development must have two or more of office, retail, hotel or residential components. The development must be completed in the period between January 2019 and before December 2022. The development must be completed in the period between January 2018 and before December 2022. 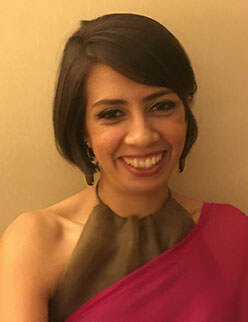 Director, Homes N Spaces Lanka Properties (pvt) Ltd.
Stephanie Balendra has worked in the UK in Fund Management, Insurance and Financial services for over 25 years. Stephanie’s extensive experience in the financial sector gives her an unique insight into the financial aspects of banking, development and investment. This includes working within a highly regulated and audited environment, following due diligence and KYC procedures, strict frameworks and timelines, customer confidentiality and ethics. Stephanie moved to Sri-Lanka and identified the changing landscape in the Real Estate sector and the requirement for a well-regulated and managed corporate entity within it. With this in mind she Co-founded SB Realtors (Private) Limited and HomesNSpaces (Private) Limited. She believes in leveraging her experience to ensure that each client receives the highest quality advice in Real Estate investment and ensuring that the related customer experience is a rewarding and memorable one. Managing Director, QServe Pte Ltd.
Prof. Chitra Weddikkara’s contribution to the construction sector is remarkable and counts well over 40 years of experience in the design and the construction industry both in Sri Lanka and abroad. Her professional experience encompasses fields of Architecture, Quantity surveying, International construction Management Dispute resolution, Construction auditing, Loop hole Engineering, Risk management, Value Management, Project management and Claims Preparation & Management as well as works as an Arbitrator, Adjudicator and also a member of National Procurement Commission. Apart from the academic & professional expertise, Prof. Weddikkiara is the President of Women In-Construction Forum Sri Lanka Chapter, to discuss issues relating to women in construction sector in Sri Lanka. Furthermore, giving them education, networking, leadership training, public service for women. 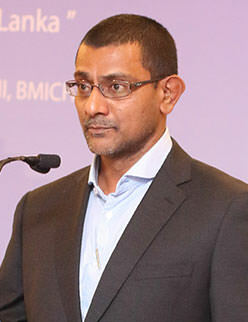 Roshan Madawela is the founding Director of the RIU with its offices in London, Colombo and the Maldives. In Advisory and Consulting, Roshan has headed many research teams, authored many dozens of international publications and produced multifarious Country reports for emerging and developed markets, specializing in real estate related investments. 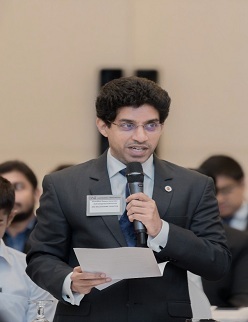 He has also served as Consultant, Macro-Economics at the Asian Development Bank, consultant to the World Bank, Sri Lankan Government Ministries and several international major banks. He is also a Director and Chief Editor of the Big Issue Sri Lanka magazine and a founding Director of the Real-estate Intelligence Unit. 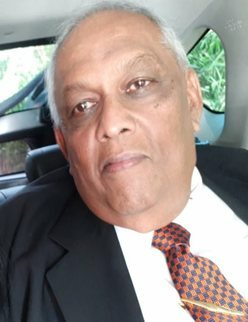 Formally he was a consultant at the Office of the Advisor to the Prime Minister of Sri Lanka, Consultant at the Commonwealth Secretariat in London and Editor at Pennwell Corporation in the UK. 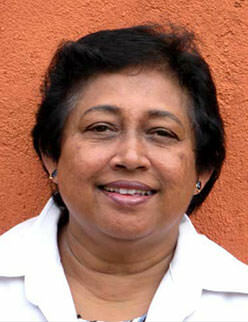 Natalie’s career began at MICDA, a leading architectural practice in Colombo, in 2005. On completion of her time there as a Junior Interior Designer, she left to spend time working and travelling in Europe, Australia, New Zealand and Fiji. Natalie re-joined MICDA in 2011 as the Head of Interior Design where, she led a young team on a number of diverse projects. In 2016, Natalie set up her own company, Pendi, a design based consultancy specializing in interior design and homeware, produced in collaboration with a group of young artists and designers, proudly made in Sri Lanka. As with the interiors, #pendihome stands true to Natalie’s belief of individuality. He is an Associate member of the Sri Lankan Institute of Architects as well as the Royal Institute of British Architects (RIBA) having graduated and worked in the UK. 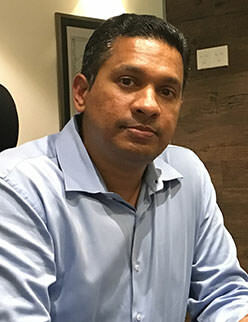 He is the Chartered Architect (Principle Design Architect) and Director of Kahawita De Silva & Associates (Pvt) Ltd, which is a leading design firm providing consortium services not limited to Architecture, Engineering, Urban Planning, Interior Design, Quantity Surveying and Project Management. The firm is on a legacy of three generations and been in the design industry for more than 40 years. He has an array of experience having worked in the UK, Singapore, Malaysia, India, Maldives, Norway and Sri Lanka. The firm is a proud recipient of numerous awards over the decades of successful practice. W, V.A. Tilakawardane is an experienced self-motivated Project Management Professional who is a Fellow of the Institute of Project Managers Sri Lanka [FIPMSL], also holding academic qualifications both in Engineering and Project Management. He also has significant experience in Civil Engineering and Building Construction Projects in Sri-Lanka and abroad both as part of an organization in Directorial, Senior Technical and Management Executive positions and as an entrepreneur. He also has significant experience in the specification and monitoring installation of durability enhancement products for concrete in concrete structures exposed to aggressive environments. 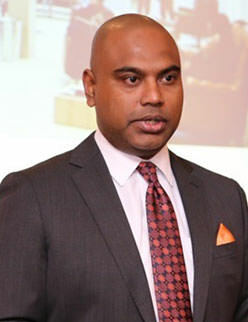 Having Studied at Royal College Colombo 07, Nandike pursued education in Architecture at City School of Architecture, obtaining his Charter from the Sri Lanka Institute of Architects in 2005. His experience working under Murad Ismail includes among many other projects, Water’s Edge Golf Course and Club, the Four Seasons Resort at Landaa Giraavaru, Maldives, and Local Architectural Consultancy for Shangri La on Galle Face and Hambanthota. He founded ACS Integrated in January 2008 as a partnership with the practice becoming Limited Liability in 2012. To date, the Company has completed prestigious projects such as the Marriott at Weligama Bay, and are currently working on Destiny Towers and Mall, NIIBS University Complex among many other projects, and the highly innovative M2M Verandah Offices in collaboration with the World renowned architects MVRDV of Netherlands. The 3rd PropertyGuru Asia Property Awards (Sri Lanka) gala dinner and awards presentation ceremony will be held at the Shangri-La Hotel, Colombo on Friday, 26 July 2019. Tickets are made available on a first come, first served basis. Exclusive for finalists and event partners only. Around 400 guests and VIPs attend the gala event, which is exclusive for shortlisted developers, sponsors and partners, comprising C-level and senior industry figures in real estate development, property consultancy, construction, marketing, property technology, legal, finance, and architecture and design. Select members of the media cover the event.